Springsteen, Nick Drake, Ronnie Dio, A.P. Carter, & more! Seattle indie singer-songwriter Damien Jurado is an experimentalist at heart, a literate musician who built his career on a cult following, early collaborative work as an indie rock band member with high school compatriot David Bazan, and a set of early self-released, cassette-only lo-fi experimental recordings featuring found sounds, neo-punk sensibilities, and carefully constructed, heartbreakingly elegant deconstructions of tonality and narrative images. And though more recent albums, such as 2010 masterwork Saint Bartlett and aptly celebrated new 2012 release Maraquopa, feature rich harmonic elements and hollow, crystalline atmospheres mixed with the rhythmic and sonic nuances of majestic indiefolk and other, older eras, each is its own revelation, proving the validity and viability of his continued journey. Consequently, it is unsurprising to find that Jurado’s work as a body defies easy genre categorization. His albums have yawed from rock production to a more typically hushed and/or produced indiefolk; he has toured with full band and as a guitar-wielding solo artist; though his early major label works were on Sub Pop, the same label which brought us the Seattle grunge invasion, his move to Secretly Canadian in 2003 speaks to the more fragile elements of his work. But though he follows in the creative-yet-idiosyncratic footsteps of Lou Reed, Neil Young, and Randy Newman, like those forefathers, there is folk in Jurado’s approach to song. In live performance and in numerous deep album cuts, he trends towards the bleak and dreamy, letting sounds emerge into the atmosphere as if channeled from the heart and hands; such tracks echo Nick Drake, or Beck’s folkier side, both in the way they haunt the ears, and in their slow, hoarse, slightly echoed vocals. Whispery and raw, nuanced and powerful, Jurado’s work is easily compared to that of Bonnie Prince Billy & Bon Iver, in that it sports the same gentle, airy vocal strain, albeit more sparse, and often more melodic. And though Jurado’s power is eminently his own, with an undertow of the heart’s darkness in almost everything he releases, there is also something of Dylan and Springsteen’s more modern journeys in his own canon, with album tracks that strip the sound down to a guitar strum and a slow musing narrative paired with heavier rockers, and plain first-person language that hides universal truths throughout. 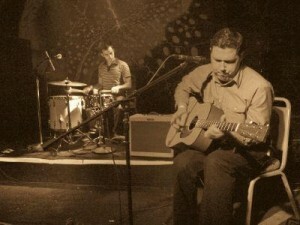 Many tout Jurado’s songwriting, which for the vast majority of his career featured fictions clothed with rich and often heavy-hearted characters in the throes of despair, as one of the cornerstones of his success as an artist – not for nothing has the man been referred to as the Raymond Carver of the indie world. But isolating the songwriting from his performance through a focus on coverage lays bare several strands of the craft which the singer-songwriter depends on for his potent impact. Unafraid to take on the songbooks of others in the intimacy and immediacy of his own recording spaces despite a stated reluctance to perform covers in live sessions – see, for example, Other People’s Songs, his 2010 all-covers recording session with Richard Swift – alongside a run of over a dozen original albums and numerous EPs in fifteen years as a solo artist, through these rarities and one-offs Jurado has nonetheless built a second, parallel set of songs which speak equally to his ability to transform and channel the world. As with his original fictions, the source material here is vast and varied. So are the songs, which range from soft and fragile to majestically symphonic. Yet the collection is gorgeous and true, from the broken delicacy of his Ronnie James Dio tribute to Jurado’s Randy Newman-esque take on traditional hymn Just A Closer Walk With Thee. Listen with me as Damien Jurado makes each song his own, revealing the unified and disparate influences of the American songbook as the entwined folkways they truly are, proving his worth as an interpreter of us. 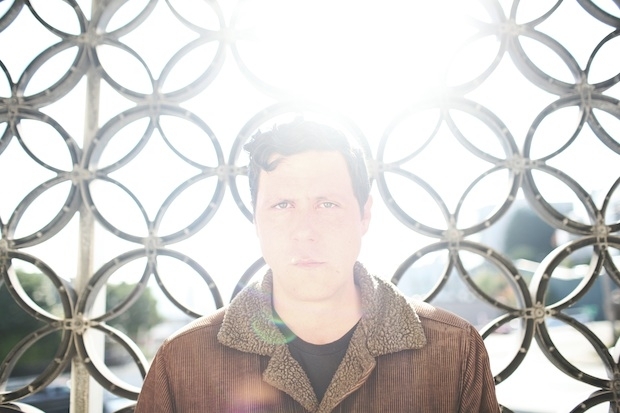 Bonus Tracks: Damien Jurado’s songwriting seems to strike as strong a chord with his indiefolk peers as it does with his growing and increasingly committed fan base. The lead-up to Jurado’s masterful February 2012 release Mariqosa, in fact, featured four of his Seattle indiefolk peers taking on his songs in tribute, hosted and solicited by The Seattle Times, and still available as a downloadable set via Mediafire. Here’s a few favorites as bonus tracks for today’s feature, the better to explore the songwriting side of the artist’s oeuvre. Looking for even more? Head over to the Cover Lay Down Facebook page for a six-pack of bonus video coverage from today’s feature, including Kim Janssen, Evan Way, and Sallyxchaos covering the Jurado songbook, and three amazing cover rarities from a 2010 session in the Netherlands which find Damien Jurado taking on tracks from Keith Green, Larry Norman, and Little Wings!